"These grants will give thousands of Wisconsin workers improved access to meaningful jobs or training opportunities that they need to enter the workforce." 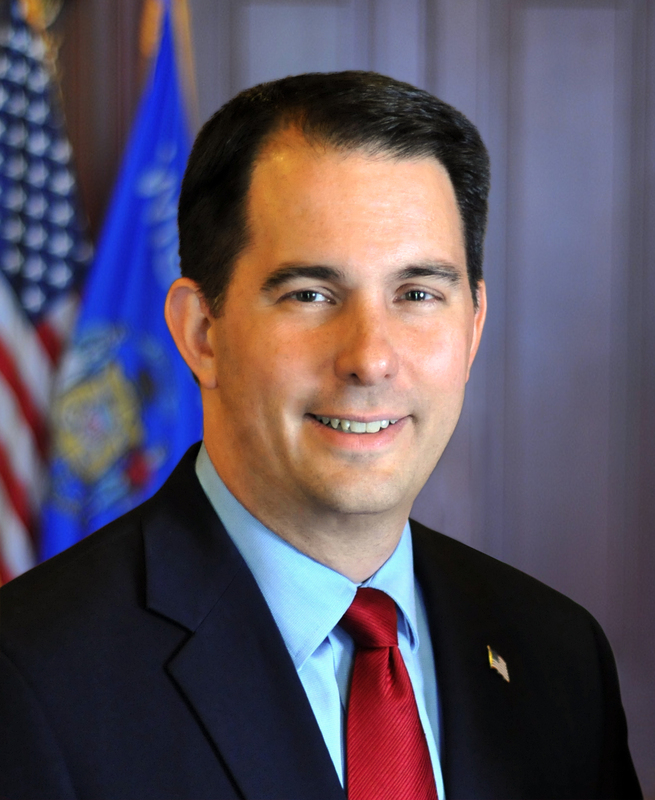 MADISON – Governor Scott Walker today announced that 29 grants, totaling more than $5.1 million, have been awarded under the Commute to Careers program, a multi-agency initiative to eliminate transportation barriers for workers seeking to advance their careers or enter the workforce. The program is funded by the Wisconsin Departments of Workforce Development (DWD) and Transportation (WisDOT). The goal of the Commute to Careers program is to expand the pool of labor talent by connecting workers with affordable transportation to and from work or training programs. DWD and WisDOT will be requesting an additional $8 million in funding in the 2019-21 biennial budget to continue the Commute to Careers program. Over time, it is expected that private funding will replace public dollars, establishing a long-term network of transportation options that will enable both rural and urban workers to reach training and employer sites. DWD has awarded 23 grants totaling $4,338,350, while WisDOT made six grants totaling $832,072. New Hope Center, Inc., Chilton – DWD intends to issue a grant of $284,650 to significantly expand transportation services to the elderly and disabled population of Calumet and Manitowoc counties. This project will address a 300 percent increase in demand in the region over the last six months for New Hope’s employment-related transportation services. Greater Praise Community Development Corporation, Milwaukee – DWD intends to issue a grant of $267,113 to provide transportation throughout Southeastern Wisconsin to employment partners through the Joseph Project. Routes will run as needed Monday through Sunday between the hours of 3:45 a.m. and 1:15 a.m. Current partners of this project are in Horicon, Sheboygan and Waukesha. Project partners include The Waukesha County Business Alliance, Sheboygan County EDC, Johnsonville Foods, Inc. and others throughout the region. Higher Expectations for Racine County, Racine – DWD intends to issue a grant of $267,113 to Higher Expectations for Racine County, an agency of the United Way of Racine County, Inc., to enable the delivery of low-cost, roundtrip transportation to employees and job seekers. Milwaukee Careers Cooperative, Milwaukee – DWD intends to issue a grant of $267,113 to Milwaukee Careers Cooperative to expand the services of their existing employee and job seeker affordable transportation program that serves employers located in Southeastern Wisconsin. It is estimated that the project will serve 2,650 workers. QPS Employment Group, Inc., Madison – DWD intends to issue a grant of $267,113 to QPS Employment Group, Inc. to expand its rideshare program for its associate employees. QPS employees drive vanpools to transport other workers assigned to the same employer location. QPS will use funding to add more vans to increase its service radius and to expand vanpool operational hours. SEEK Careers/Staffing, Inc., Grafton – DWD intends to issue a grant of $267,113 to SEEK Careers/Staffing, Inc. to expand its employer consortium vanpool. With current vanpools in Wausau and Allenton, SEEK will expand services to Ozaukee and Washington counties, as well as to other Wisconsin employer locations located outside the reach of public transportation. Wisconsin Automotive and Truck Education Association, Wausau – DWD intends to issue a grant of $267,113 to fund a Wisconsin Automotive and Truck Education Association partnership with the Central Wisconsin Metal Manufacturers Alliance, the North Central Wisconsin Workforce Development Board and local businesses to meet regional training and transportation needs of a skilled workforce in Marathon County. Employees from Langlade, Lincoln and Portage Counties will be transported to positions at participating businesses in the greater Wausau area, earning family sustaining wages. Quad/Graphics, Inc., Sussex – DWD intends to issue a grant of $264,049 to Quad/Graphics to expand its existing employee ridesharing program to potential workers living on Milwaukee’s north and south sides who are limited in their job search due to a lack of reliable and affordable transportation. The ridesharing program connects new employees to jobs at Quad/Graphics plants, which are in suburban/rural areas, to mitigate the worker shortage that has forced the company to move work sites to other states. The program will also provide access to job training, emergency rides home and an auto loan program (using capital funding provided by Quad/Graphics) to eventually enable employees to purchase personal vehicles. Specialty Cheese Company, Inc., Reedsville – DWD intends to issue a grant of $252,756 to implement a wide-scale, demand-responsive ride pilot program. The Dodge County Getting-to-Work program is the product of a coalition of Dodge County employers, economic development agencies, nonprofits, and government agencies who, through an Easter Seals Accessible Transportation Community Initiative (ATCI) funding grant, partnered to resolve employee transportation issues. With funding and program support from Specialty Cheese Company, Inc., the group piloted an on-demand private driver service for Specialty’s employees. Lafayette Development Corporation, Darlington – DWD intends to issue a grant of $249,591 to Lafayette Development Corporation to establish daily bus service to several major employers within Lafayette County. Lafayette Development Corporation proposes to establish three daily bus routes, which will pick up workers at several rural stops and deliver them to Lactalis in Belmont, the lead employer partner in the project. The project seeks to benefit regional employers by improving employee retention and attendance, as well as increase access to family-supporting jobs for workers throughout Southwestern Wisconsin. Staffing Continuum Managed Services, LLC, West Allis – DWD intends to issue a grant of $239,440 to Staffing Continuum Managed Services, LLC to provide transportation services to individuals from the Milwaukee County House of Corrections (HOC) to potential job opportunities. Currently, the public transportation service to HOC is limited to one route available on Saturdays only, thus, limiting options for sustainable, long-term employment. Staffing Continuum also provides ongoing counseling, mentoring and job performance coaching to participants. Link Snacks, Inc., New Glarus – DWD intends to issue a grant of $230,017 to Link Snacks, Inc. to work with a transportation service to create a vanpool for current and future employees commuting from urban areas, including Madison (Dane County), Monroe (Green County), Janesville and Beloit (Rock County), to its production facility in New Glarus. By providing a transportation alternative both to and from work, the company will appeal to a broader workforce that cannot currently secure reliable transportation. The company estimates that it will increase plant capacity by 100 employees. Dunn County Economic Development Corporation, Menomonie – DWD intends to issue a grant of $224,813 to expand an existing consortium of major employers in Stout Technology and Business Park and the Menomonie Industrial Park. Along with Dunn County Transit (DCT), West Central Wisconsin Regional Planning Commission (WCWRPC), and Bourne Transit Consulting, LLC, the transportation professionals will develop and implement reliable and convenient employment transportation for potential and existing employees. It is anticipated that the Dunn County Employment Transportation Program will expand and be incorporated into DCT’s regular route services. This will expand the pool of employees and the employment centers in Menomonie. It will potentially add new services to areas of Dunn County. #1 Transportation, LLC, Racine – DWD intends to issue a grant of $212,817 to expand #1 Transportation’s existing program that provides transportation for individuals with physical or mental disabilities to also include transportation for job seekers and low-income workers to job centers and employer locations. #1 Transportation estimates that it will be able to provide transportation to more than 400 workers. Partners include Goodwill Industries, Lakeside Curative Services, the Racine County Workforce Development Center, local churches, community outreach centers, and shelters. YWCA Madison, Inc., Madison – DWD intends to issue a grant of $200,338 to YWCA Madison, Inc. to expand its longstanding YW Transit program. YW Transit provides on-demand, 24/7 transportation services for low-income Dane County residents. YWCA Madison has identified transportation issues going to and from work sites located outside the City of Madison. The organization has recognized that these issues have created a major employment barrier for their predominately urban client base. DWD funds will be used to provide an additional 7,800 work-related trips annually through YW Transit. Northcott Neighborhood House, Inc., Milwaukee – DWD intends to issue a grant of $133,557 to partner with the Milwaukee Housing Authority and Quad/Graphics to provide transportation and training to lower unemployment and increase access to jobs. There is a strong salary structure ($19-$20/hour) and potential car loan programs for successful trainees. Union Cab of Madison Cooperative, Madison – DWD intends to issue a grant of $133,557 to develop a shared ride service with Union Cab to reach the non-driving employee population in Dane County. By collaborating with employers, employees, and community organizations to plan, design, and implement the service, Union Cab will help the underserved, non-driving population gain access to quality employment and help employers recruit talented employees. Lakeland University, Plymouth – DWD intends to issue a grant of $111,637 to provide a robust 24/7 shuttle service for student employees and interns to businesses throughout Sheboygan County. This program will sustain the continued development of the talent and labor pipeline that is providing economic development in the region, which benefits students, companies and organizations. Sparta Area Chamber of Commerce, Inc., Sparta – DWD intends to issue a grant of $61,276 to establish a rideshare program benefitting employees of Century Foods International and Morrow Home Community in Monroe County. Employees in need of transportation will enter car- and van-share pools to provide safe and reliable transportation to rural workers who do not currently have access to a personal vehicle. Center for Self-Sufficiency, Inc., Milwaukee – DWD intends to issue a grant of $53,423 to integrate transportation services into Center for Self-Sufficiency’s existing case management and supportive services, which includes employee training, skills development, family and health relationships, and parent education to low-income residents in Milwaukee. They will provide transportation to employer sites located outside of the existing public transportation routes. The grant will target opportunities in Washington, Racine and Waukesha Counties. Quad/Graphics is a primary partner. Curative Connections, Inc., Green Bay – DWD intends to issue a grant of $44,100 to assist people with disabilities to move from sheltered employment settings to integrated community-based pre-vocational services. This Brown County-based program will double its existing capacity with this funding. Greater Oshkosh Economic Development Corporation Foundation, Inc., Oshkosh – DWD intends to issue a grant of $30,051 to Greater Oshkosh Economic Development Corporation Foundation, Inc. to provide 24/7, on-demand employment transportation services for workers throughout Winnebago County. Grant funds will be used to subsidize fares and mileage costs and make the available services affordable to unemployed, underemployed, disabled, and low-income workers through the Winnebago County Employment Transportation Feonix Mobility Rising Program. Grand Avenue Club, Milwaukee – DWD intends to issue a grant of $9,600 to Grand Avenue Club to transport Milwaukee County adults with mental illness who participate in the organization’s pre-employment vocational training program and employment program to Milwaukee area jobs. It is estimated that the ridesharing program will assist approximately 200 employees engaged in the Club’s Group Placement, Transitional Employment and Supported Employment opportunities. Washington County Shared Ride Taxi, West Bend – WisDOT issued a grant of $463,072 to purchase six minibuses and four minivans to ensure a reliable, cost-effective service to the Washington County’s citizens. The vehicles will be part of their door-to-door demand response service and will improve the overall average age and mileage of the transit fleet. The shared taxi ride service provides more than 92,000 rides per year throughout the county, mainly to assist people with disabilities get to work. Lakeland University, Sheboygan – WisDOT issued a grant of $117,000 to purchase one minivan, one medium bus with a wheelchair lift, and one transit van. Rurally located Lakeland University will expand its current shuttle program to a round-the-clock operation to meet the needs of local employers by providing them with a reliable source of student workers. Through their cooperative education program, Lakeland enables students to gain credit-bearing, paid work experience and it provides the region and the state with a prepared workforce. In 2017, 95 percent of graduates stayed and worked in Wisconsin. Northcott Neighborhood House, Milwaukee – WisDOT issued a grant of $80,000 to purchase two transit vans. In partnership with Quad/Graphics and other community organizations, Northcott provides supportive services and transportation to disadvantaged workers enrolled in training programs. Transportation services continue for those who successfully complete the training program until they can afford their own transportation. Greater Praise Community Development Corporation, The Joseph Project, Milwaukee – WisDOT issued a grant of $66,000 to purchase one Minivan and one transit van. Through the Joseph Project, Greater Praise CDC connects low-income workers, from Milwaukee, to jobs in rural and suburban areas in Waukesha and Sheboygan counties for whom the lack of transportation is a significant barrier to getting and keeping jobs. After a 30-day grace period, riders pay a daily fee to help support the service. Center for Self-Sufficiency, Milwaukee – WisDOT issued a grant of $80,000 to purchase two transit vans. The Center for Self-Sufficiency (CFSS) provides employment training and other supportive services to low-income, disadvantaged Milwaukee county residents who have a felony conviction. The vans will enable CFSS to expand its current transportation options to access willing employers in Washington, Racine and Waukesha counties, well beyond the Milwaukee County Transit System route. These jobs will help recent parolees integrate quickly into the workforce. Grand Avenue Club, Milwaukee – WisDOT issued a grant of $26,000 to purchase a minivan. The acquisition of the new van will enable the Grand Avenue Club to provide transportation to employers and ease their clients, or members, into the paid labor force. People with serious mental illness have the highest unemployment rate of any other disability group. The van will be a means of removing a barrier to members’ ability to get to work and assist them in staying employed.